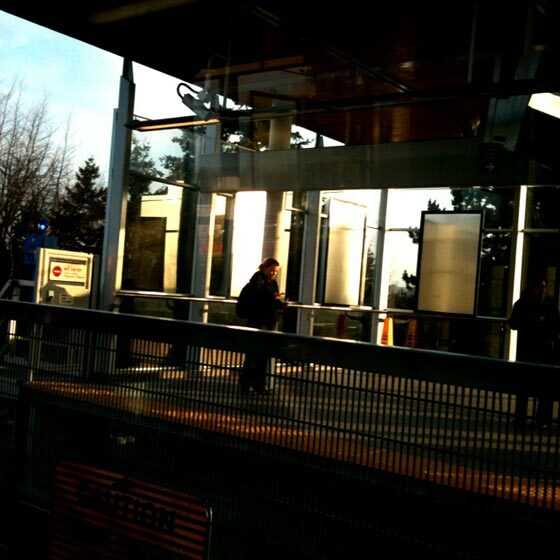 Waiting in the sunshine for a Canada Line train. iPhone photo, massaged with CameraBag. This one’s for my students. You get better by doing, which means always practicing. It’s not about the assignments and the grades; it’s about going out and pushing. Take your camera out today and shoot as though cropping had never been invented. Make every pixel in every image count. Take a walk through the neighbourhood of our choice and find a story. Research it. Write it or photograph it or video it. Head downtown into the Olympic madness, pick a storyline and flipbook it. And, regardless of how it turns out, publish it, promote it and ask for feedback. Examine, critically, what you’ve done. This is why you’re the best.